The idea of workplace coaching really took off between the 1930s and the 1980s with a ton of studies being done to show how long time employees could train new ones, how sales people could be coached (and why), how managers could coach and how supervisors could become coaches. The idea was to teach businesses how to train and teach and mentor their newest employees in order to improve productivity, increase levels of attitude and confidence and help everyone keep learning in order to make everyone more successful as a whole. Nowadays there are actually several different types of coaching, depending on who’s doing the coaching and who’s doing the learning. Different types of coaching have different advantages, so let’s take a look at these and see which ones could be successfully placed in your small business. All of these things are important in all levels of management and it’s worth revisiting regularly so that you don’t forget anything! Make sure that the current behaviours which impact decisions are good ones for the business and show how to change them. In essence, directors and boards learn how to think about their problems, communicate those problems and how to act with them so that the business continues to thrive. This is a fancy way of saying that these coaches take a hard look at the your office culture and find ways to make some changes. This can mean checking out the behaviour of employees, looking at the values, and finding ways to change them as necessary in order to better reflect what the business is trying to do. Culture coaching is often found in larger businesses as a way to inspire communication, creative thinking, and more team togetherness. Skill coaching-teaching certain skills and abilities that are going to be helpful for an executive to move into a new position. Development Coaching-Helping the executive improve his or her existing skill set and characteristics. They may also learn how to become coaches themselves for their workers! 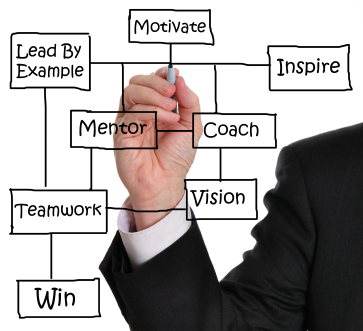 Workplace coaching has been shown to be effective in a number of businesses when it is done properly. Generally speaking, it is done in three phases: assessment, coaching and evaluation. Assessment means checking out the business and the team to see where work needs to be done; then the coaching, and then evaluating the coaching and changes in the business for effectiveness. Coaching might have to be done again to fill in any gaps that turned up. Evaluation should also be ongoing to ensure that everyone is trying the new techniques and to get feedback for improvement. If you feel that your business needs a push or your own leadership skills need a polish, business coaching may be just what you need. Give it a try and see how it can help your business grow! Johanna Bergstrom is a prolific writer and Communications expert at Courteouscom.com, which provides communication solutions like answering services for legal, healthcare, real estate and numerous other kinds of business.